WHEN Donald Trump made the umpteenth provocative policy statement of his presidency last week by declaring that the US would recognise Jerusalem as the capital of the state of Israel, it was reasonable to expect that the religious right across the Muslim world would front a ferocious reaction, with Pakistan no exception. Well, it hasn’t happened yet, at least not in our land of the pure. This is intriguing, especially in the immediate aftermath of the Faizabad dharna, which for many signalled the culmination of the religious right’s rise to a position of almost unchallenged cultural hegemony. Why has the religious lobby made no attempt to capitalise on a clearly emotive issue and further consolidate the gains made by Rizvi & co? Parties such as the JI and JUI are wary of the newcomers. At least part of the answer was provided by an Islamabad High Court judge immediately after the dharna was called off. In lambasting the compromise, including the role of the army in brokering it, the learned judge indicated that state personnel and institutions — some of whom constitute what we call the ‘establishment’ — are hardly on the same page about Islam, and what posture the state of Pakistan should adopt towards the religious right. The differences within the state are not reducible to a simplistic binary, namely ‘does the state want to continue patronising the religious right or not?’ Religion is so deeply entrenched in the body politic that there is no question of a wholesale shift in the state’s historic policy of politicising it. It is much more meaningful to interrogate the extent and nature of conflict within the state about how to use religion in politics, including the thorny matter of which religio-political forces are to be patronised and in what way. It is not rocket science that the rise of the Mumtaz Qadris and Khadim Rizvis of the world has coincided with the (relative) falling out of favour of more puritan sects that were previously the dominant bearers of public religiosity. It follows that state personnel sympathetic to different religio-political movements do not see eye to eye with one another about the manner in which Islam should guide the affairs of the state. In short, the actually existing state is anything but a monolith. Thought about intuitively, the state is comprised of many individuals in a great many number of institutional and geographical settings with varying histories and localised imperatives. With this in mind, it makes sense that state personnel with long-term ties to, say, Deobandi groups are not thrilled at the fact that Barelvis are currently enjoying more favour at the highest echelons of the security apparatus. 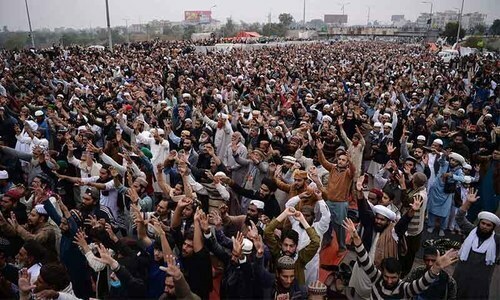 Parties such as the Jamaat and JUI and their supporters within the state are watching over their shoulder as new kids on the block like the TLYRA make gains — both with the establishment and in terms of political visibility in society. The MMA’s revival confirms as much. All of this makes for even more volatility moving forward, but it does clarify things for progressives: the right-wing is far from united, and religio-political organisations and their backers within the state are as likely to confront one another as they are to take on those at the other end of the ideological spectrum. 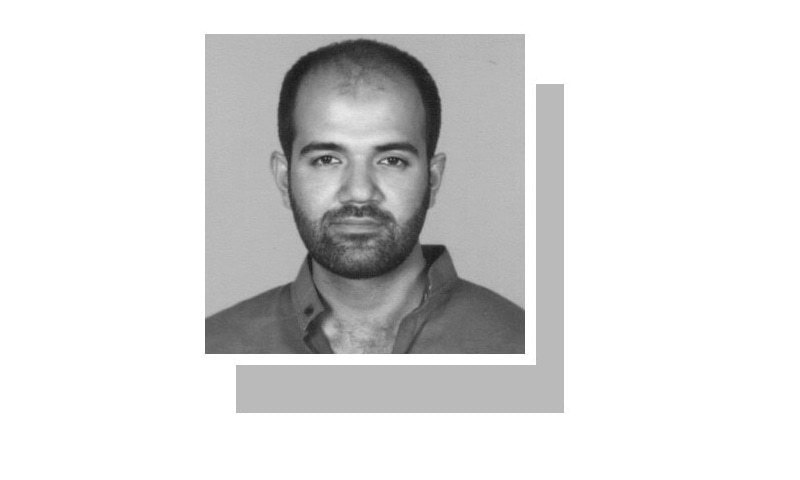 In fact, given that the current power struggle is almost exclusively an intra-right affair — even Punjab’s mainstream electoral contest is between the right-of-centre PML-N and right-of-centre PTI — it is worth noting that it is often from within such otherwise depressing conjunctures that change is triggered. Previously, left-wing revolutionaries were alive to internal contradictions in the structure of power, and would pounce at the moment when these contradictions were at their sharpest. 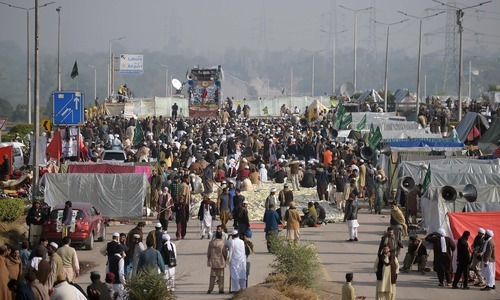 Today’s progressives must remember that even though the right is very powerful in today’s Pakistan, it is also hopelessly divided — as are state functionaries that have always used religion as a weapon to defang the left at home, and undermine its ‘enemies’ outside the country. In part the notion that the state and religious right are omnipotent is one that progressives themselves tend to reinforce via unending narratives circulating in society. Certainly the fear factor of the establishment and religious right is indisputable, especially given that there is almost no recourse to the killings, disappearances and other forms of violence that are visited upon progressive activists. Yet surely repression can also be read as desperation to contain the growing number of voices who want to see the country head in a different direction. As I noted earlier, the problem is less that the forces of reaction are unchallengeable and more that the forces of progress are unorganised. Exposing the myth of right-wing unity is the first step towards building a progressive alternative — and such an alternative might even garner the support of many within the complex animal that is the Pakistani state. Alas the only party with Left credentials is ruled by so Right minded that it is has become totally irrelevant. "Yet surely repression can also be read as desperation to contain the growing number of voices who want to see the country head in a different direction." I attach a lot of hope to this statement. The author seems well informed and articulate, and if this conjecture is correct, it means that even now there is a faint glimmer of hope for Pakistan. Even now, at our worst, we don't vote in the Modis or the Trumps, so the fabric of our society is still civilised and moderate - I pray that we can use this to still salvage Jinnah's dream of Pakistan. The right wing is not divided on the issue of extremism, militancy and terrorism, they are at times divided on who their real enemy is and whom to target. @Hasan Are you implying that your leaders are better than these individuals ? That may be correct, but is your country better than the ones that these two lead ? This is the more important question. "is your country better than the ones that these two lead ? This is the more important question." Pakistanis don't vote for hate preachers. They vote for wealthy, influential household names, and these names - whether Bhutto or Sharif - end up making back room deals with hate preachers. This is a sad state of affairs, but not as gloomy as a nation that openly votes in merchants of hate...and we both know which larger neighbour I'm referring to here. Even they are divided, they are enough to power to dictate us, steal our freedom. They are united against reason and rationality. They are united against science. They are united against peace and prosperity. They are united against minorities. They are united against modern. Rizvi & Co seem water bubbles and practical politics will frustrate them. however in continuous open and free politics religious parties will gain ground at slow pace with lasting impact.